MDC alumna Yolanda Valencia says it’s not complicated to give yourself to a cause you believe in, with the greatest reward being the ripple effect that one gift can have. Valencia spearheaded two new student scholarships last year through the fresh-cut flower producer Galleria Farms, and has plans to support more MDC students in the future. 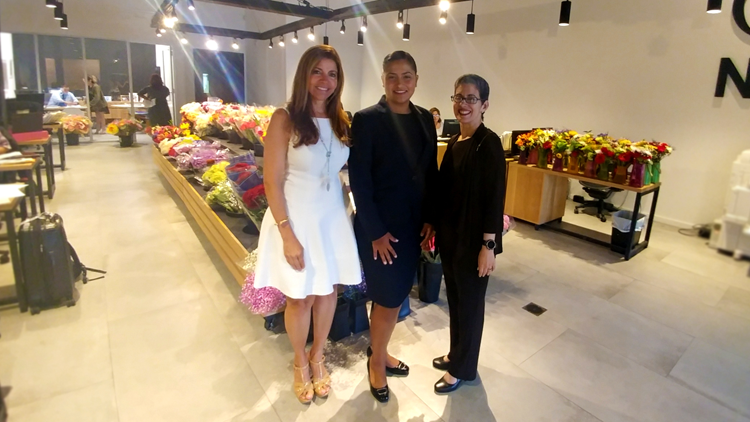 Valencia, who leads charitable giving and human resources at Galleria Farms, says MDC was a natural fit for scholarship support since youth and families is a priority for the company’s philanthropic support. As an alumna, Valencia also knows firsthand how the College helps support success. In 2017, Galleria Farms funded two MDC scholarships, one for veterans and the other for students pursuing a career in supply chain management and logistics. Galleria Farms also donates flowers for several large MDC events. Valencia considers these contributions of time, talent and resources as investments in the community – not expenses.